A Quest…Oh How I Love A Good Quest!!! I shall be participating in this quest which was posted by Stainless Steel Droppings. 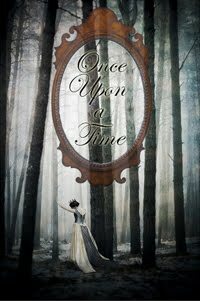 The quest is one in which you must read a Once Upon A Time book or books. Genres can be fantasy, folklore, myths and fairytales or even a combination of all of the above. Since this is most of what I am reading lately, I am thrilled with this challenge and have high hopes of completing it. I believe the ending date for this quest is sometime in June. Ever since I fell in love with The Tale Of Despereax by Kate DiCamillo I have loved anything involving a quest. I am not exactly sure why but there is just something wonderful about being on a quest. When I was teaching 2nd grade, I read the book to my students as a readaloud…and one of the projects we did with the book was that each student had to write about his or her own personal quest. They also had to diagram how they would reach their quest. It was a delightful writing activity that harnessed tons of creativity!!! Great for a Friday afternoon activity!!! just wait until you begin reading all the reviews!!! your wish list will grow by leaps and bounds!